2016 Trek Shremedy 29er - March 16, 2016, 12:08 p.m.
Maybe I'm out of touch, but $4100Cdn for a frame only?!?! OOPS! I Just Broke Your Bike - Jan. 27, 2016, 4:27 p.m.
Skull Saboteur Sentencing Videos - Jan. 25, 2016, 10:35 a.m.
Go to the NSMB Vimeo account, you should be able to see them all there. Niner Rip 9 Carbon Long Term Review - Jan. 12, 2016, 9:43 a.m. There is a huge variation in Chilcotin descents. The stuff near Tyaughton lake isn't typical for the rest of the park. Skull Saboteur Pleads Guilty - Sept. 28, 2015, 3:55 p.m.
Make Like Magellan – 8 Reasons to Travel to Ride - July 15, 2015, 2:56 p.m.
Re: #8. Instead of taking your own bike, rent. Gives you the opportunity to try something different too. I'd suggest taking your own pedals and saddle in your luggage though. The 2015 Wade Simmons Interview - July 9, 2015, 10:47 a.m. I don't think the article was clear if that was a "work" trip or a personal trip since that wasn't the point of the article, but I was guessing that if you have a pro photographer along, pics and/or photos will show up somewhere, or maybe not. The 2015 Wade Simmons Interview - July 8, 2015, 11:26 a.m. Looking forward to seeing whatever comes out of his latest trip to the South Chilcotins (article, photos, videos? ), it must have made a big impression on him as he mentioned it 3 or 4 times in this interview. Innovation or Industry Scam? - April 20, 2015, 8:30 a.m.
26+ already exists, it is called a fat bike. Fat Bikes ARE Mountain Bikes - Feb. 5, 2015, 2:45 p.m. 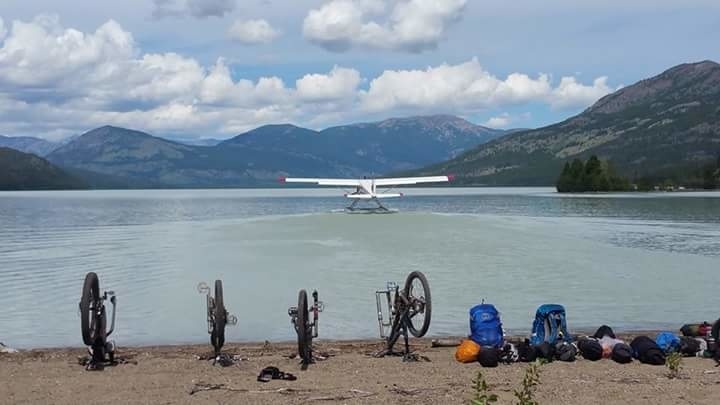 Wet Chilcotin bike packing is what we were thinking of. Kamloops is another area where they are packing trails to create fat bike loops. The group up there has a very active FB group. Re: 2017 South Chilcotin Trail Conditions Thread - Aug. 8, 2017, 2:59 p.m.
Re: 2017 South Chilcotin Trail Conditions Thread - July 31, 2017, 1:30 p.m.
Re: 2017 South Chilcotin Trail Conditions Thread - July 27, 2017, 2:39 p.m.
Re: 2017 South Chilcotin Trail Conditions Thread - July 26, 2017, 11:50 a.m.
Re: 2017 South Chilcotin Trail Conditions Thread - July 4, 2017, 10:21 a.m.
Re: 2017 South Chilcotin Trail Conditions Thread - June 29, 2017, 3:59 p.m.
Big and Tall riders of NSMB, what frames/bikes are you riding? - March 31, 2016, 9:44 a.m. Thanks for all the suggestions, I sent a link to this thread to my friend. The Decline of Vancouver. - March 30, 2016, 11:49 a.m.
For sure lack of supply cause by Vancouver's natural geography is probably the first most important factor leading to expensive real estate - we have mountains to the north, water to the west, the US border not too far south, and then on top of that we have a bunch of waterways throughout all of the available land making it more difficult to travel from one area to another (i.e. bridges = bottlenecks). Don't forget all the ALR land that can't be developed. The Decline of Vancouver. - March 29, 2016, 4:25 p.m.
Big and Tall riders of NSMB, what frames/bikes are you riding? - March 29, 2016, 1:27 p.m. Funny enough he is currently riding an old XL Heckler, but it is old school geometry and wheel size. I was suggesting one of the Ventana frames as they make them in a 25" frame size with a 26.7" top tube.